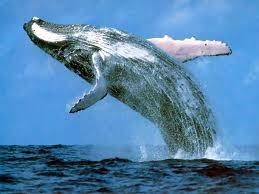 Every year, a remarkable occurrence transforms the beautiful shores of the Dominican Republic – The whales of Samana. 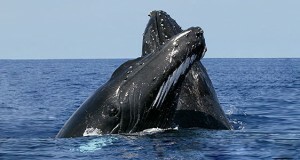 Nearly the entire population of Western Atlantic Humpback whales, having migrated from summer areas off Cape Cod, Nova Scotia, Newfoundland and Greenland (some covering distances of 3500 miles) congregate along the north coast of the Dominican Republic during January, February and March. Bachelor males and females are often seen close to shore near Puerto Plata, Sosua, Cabarete, and Cabrera while pregnant females give birth to and nurture their calves in the protected waters of Samana Bay. Humpbacks are a joy to behold, and being whales that are fond of coastal waters, groups of them are easily located. They are active whales and the range of behaviors, particularly among bachelor’s seeking mates, can be absolutely spectacular. Many opportunities exist for close-up encounters with these beautiful animals, with licensed captains operating whale-watch tours out of Samana. The Dominican Republic was one of the first nations in the region to establish regulations designed to protect the humpbacks while allowing visitors to enjoy whale encounters in safe vessels operated by crews thoroughly educated in proper conduct around these great mammals. Tourism in the Dominican Republic, already recognized as being a well-developed industry, offers many attractions, both natural and manmade, to visitors. But nothing quite compares to a whale-watch expedition on a lovely tropical day with the trade winds raising whitecaps off Las Galeras or las Terrenas. To the south are glimpsed the heavily forested hills of Los Haitises National Park while the mountains of the Samana peninsula provide a lush backdrop as Atlantic humpbacks, also winter visitors to the region, breach, and blow in great gouts of spray, delighting all with their soaring spirit. La Vega Carnival – It’s that time of year again! For all of February and March, the entire Dominican Republic enjoys the La Vega Carnival and numerous other festivities, including a celebration of it’s Independence Day or “Día de la Independencia”. You won’t be able to miss the bizarrely beautiful, and wildly colorful masks that line streets and stores during these months. It’s a must, to celebrate the La Vega Carnival where shows and surprises come out every Sunday in a spectacle of colors, dances, drinks, and other festivities to unite the community. You won’t be able to miss the bizarrely beautiful, and wildly colorful masks that line streets and stores during these months. It’s a must, to celebrate the La Vega Carnival where shows and surprises come out every Sunday in a spectacle of colors, dances, drinks, and other festivities to unite the community. 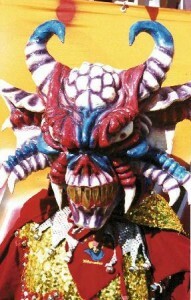 La Vega’s Carnival is recognized internationally for its celebrations each Sunday in February when groups of people from all over the country come to see the performers in handmade masks and costumes performing dances that have been practiced all year.These hand-made masks and costumes are incomparable and, people travel from all over the world to experience these wonders for themselves while participating in Carnaval. In addition to the regularly performing Carnival groups, live performers are brought in to support the festivities, and many local brands like Brugal and Presidente are big supporters of these events along with many others. 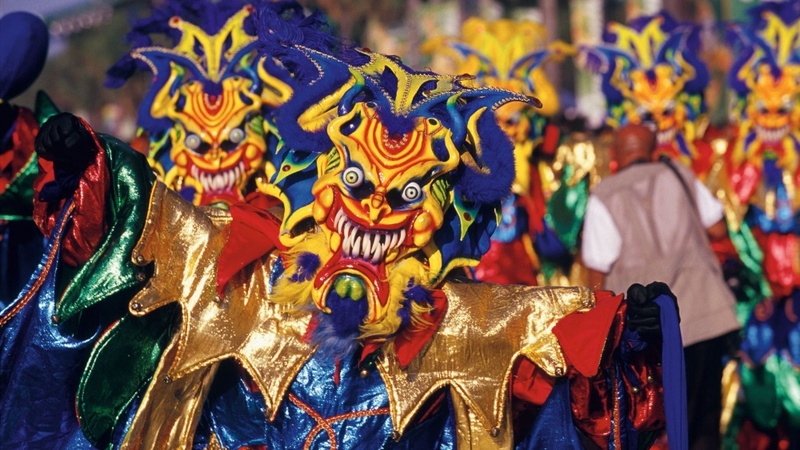 If you’re wondering when might be the best time to see the Dominican Republic at its liveliest, this is it… But watch out, those masked beings are just waiting to include you in their happy celebration!